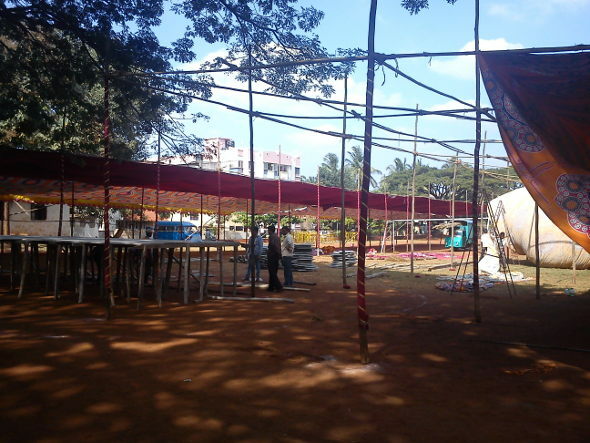 MES and other Marathi groups will hold a Maha Melava as a show of strength with atleast 25,000 people are said to gather at the Subhash Chandra Bose Ground (Lele Ground). MES had passed a resolution on holding Mahamelava in Belgaum whenever the state government held sessions. Following this, meets were organized in 2006 and 2009. As of now the Marathi divided groups have come together and will show their strength tomorrow. There could be heavy barricading from First gate towards Subhash Chandra Bose Ground. Uday! Where is my post? Let them show the strength is solving some issues already existing in Mah. Non-sense!! !